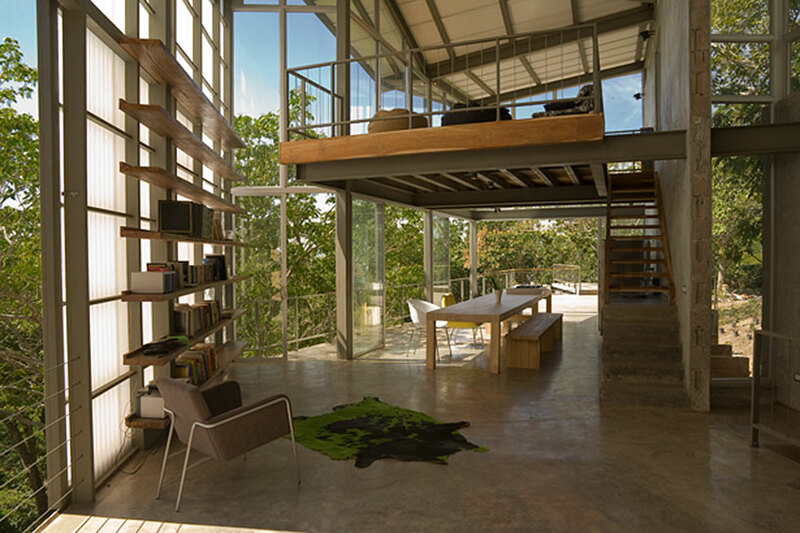 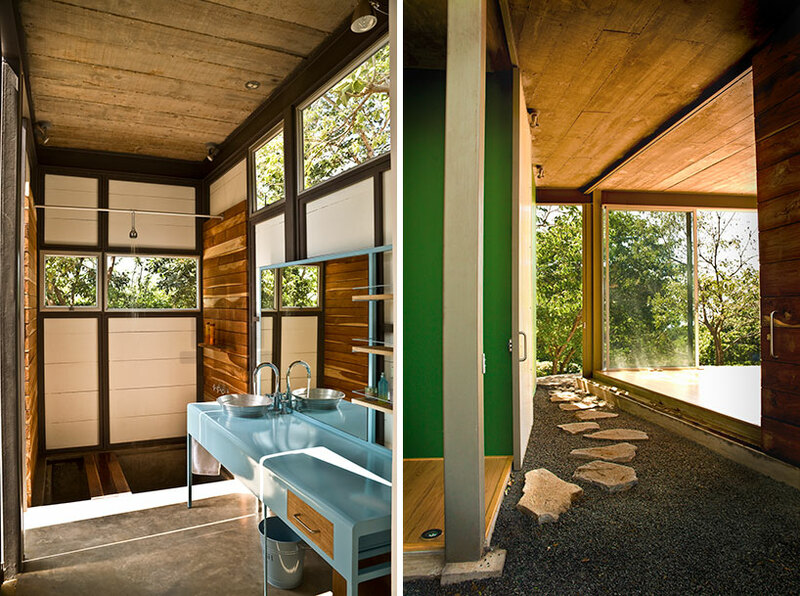 This amazing house is located in dense ranforest outside San Salvador. 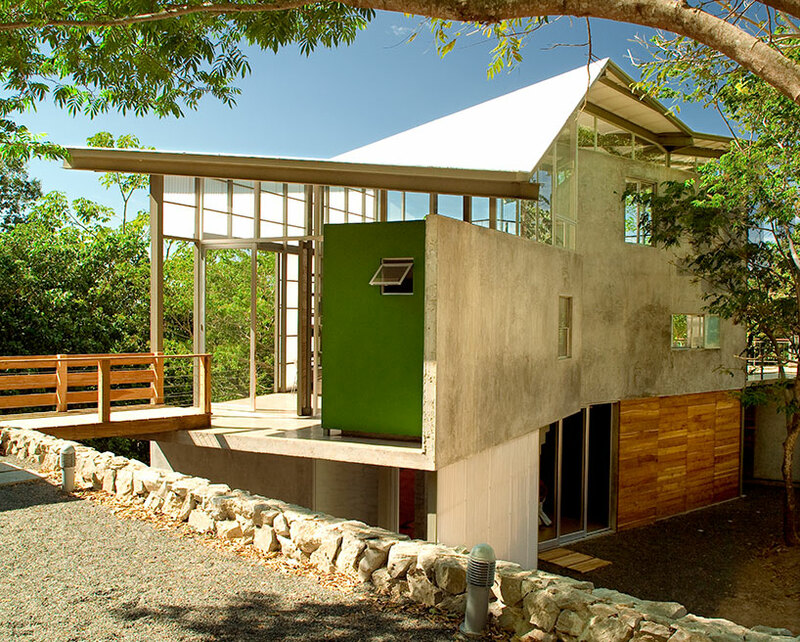 It is made of steel, wood and concrete. 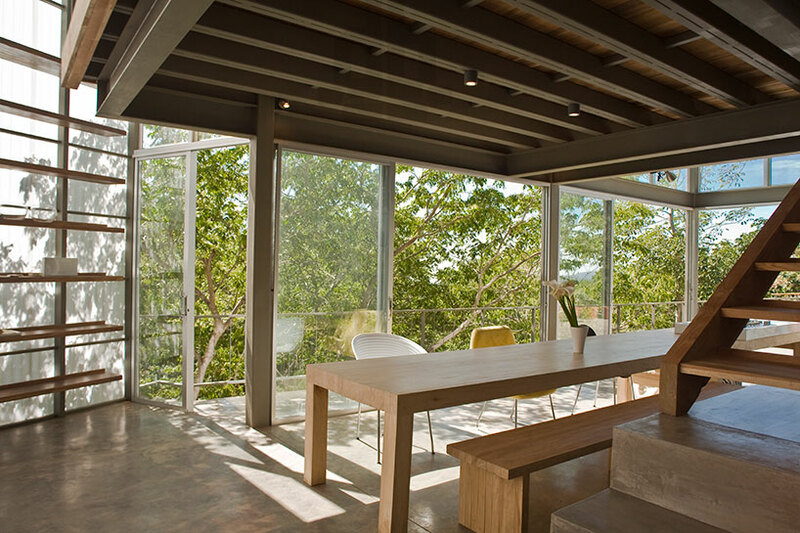 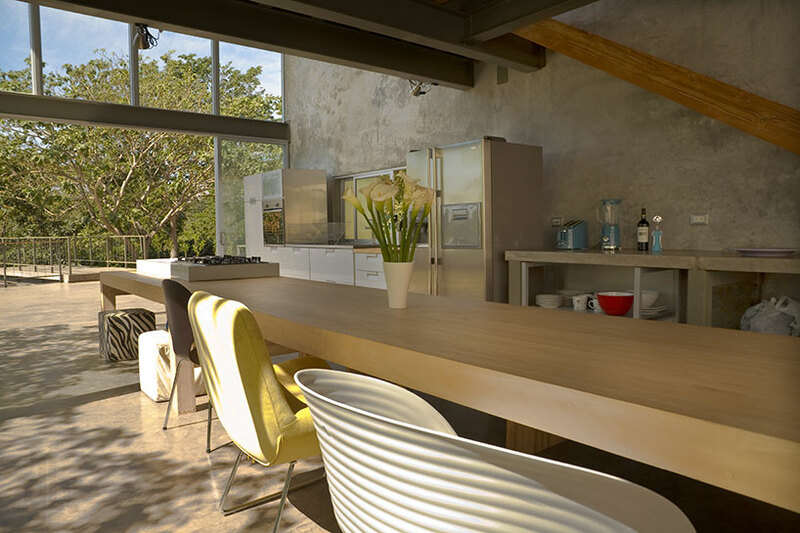 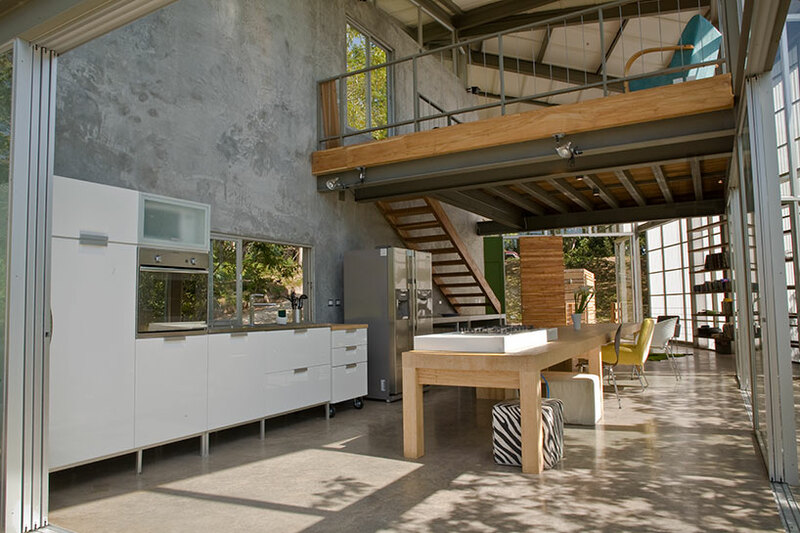 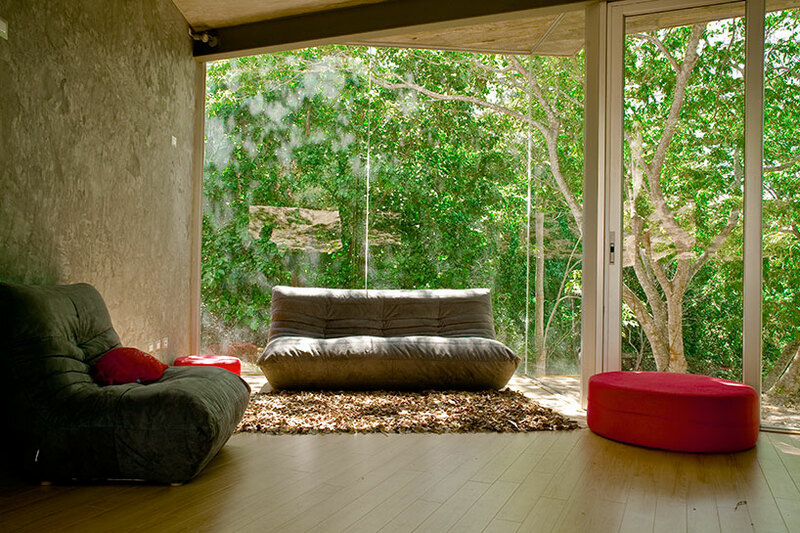 Concrete partitions and planes help keep the living spaces cool in the sun-bathed environment.